The Philips 258B6QJEB is an excellent business monitor with superb color and contrast capabilities which you can and should expect from a premium product. Its capabilities make it one of the best in its class, and to top it off, that level of performance is easily within reach right after opening the box and turning it on. This offering also looks attractive and sophisticated, so it should fit right in your executive office or elegant living room. 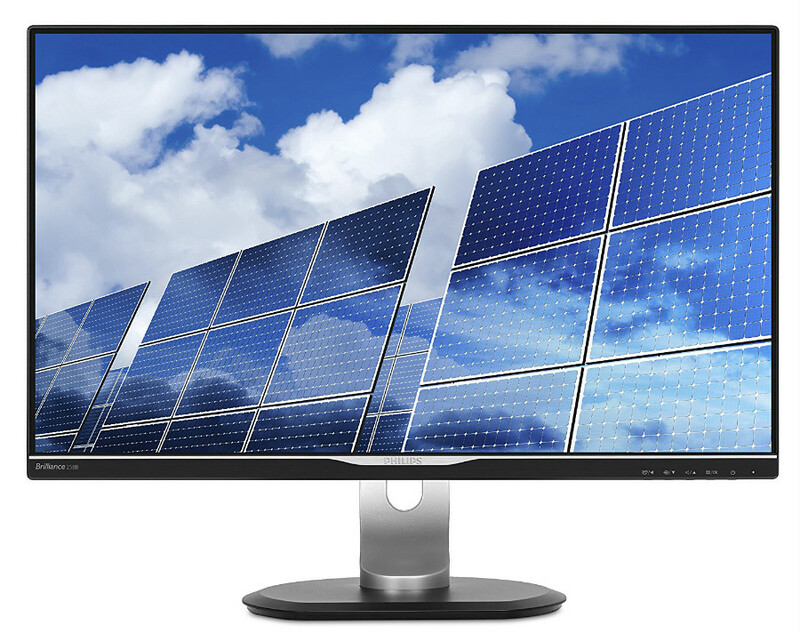 The Philips 258B6QJEB is a capable monitor with a 2560 x 1440 resolution packed into a 25-inch which provides a sharper picture and increased details. In our books, 1440p is a perfect match for 27-inch models, but when the pixel count is squeezed into a smaller form factor, you get stunningly cleaner lines and crisp details. You won’t find a lot of models out there similar to the Philips 258B6QJEB, and those that are available are excellent displays. Let’s check if this premium product can go head to head with its outstanding competition. 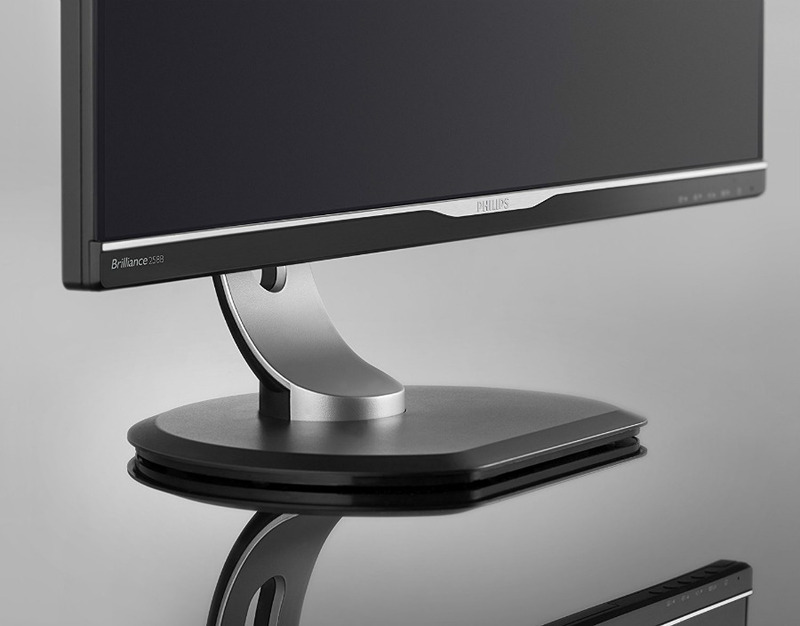 At first glance, the Philips 258B6QJEB oozes with a sophisticated appeal which dictates that this monitor aims for a place in the business segment in the market. The bezels are only 3mm on three sides, and even if the panel still has black borders, users still get the illusion that this model has an edge to edge display. The bottom strip has a brushed titanium-like finish to match the silver stand. The rear of the cabinet looks subdued and utilitarian, with its matte black finish and rectangular bulge for the innards. The Philips 258B6QJEB has a feature rich I/O panel mostly accessible on this side, and it includes connectors for DisplayPort 1.2, HDMI 1.4, DVI-DL, and VGA. You also get two USB 3.0 slots and another two for USB 2.0, but these are located on the sides of the bulge for convenience. For your audio needs, the Philips 258B6QJEB has a pair of 2-watt speakers plus 3.5mm jacks which are a welcome addition, but underpowered for our tastes. Since this model is packaged towards power users engaged in business, one would think a premium set like those found on the Asus MX27AQ would be included. Even if this monitor should see less gaming, having a decent pair for relaxing music or personal movie time would be awesome. On a positive note, the Philips 258B6QJEB’s stand is superb, thanks to its flexibility and durability. You get height, tilt, swivel, and pivot adjustments to suit your needs. There is also a pill-shaped cable tidy hole on the neck which is handy if you are using most of the ports on this monitor. You can detach the armature to reveal VESA holes if you prefer mounting. Durability and build quality are top-notch, and we did not notice any unwanted flexing and uneven seams through the plastic surfaces of this product. The Philips 258B6QJEB features a 25-inch AH-IPS panel with a 1440p resolution, 60Hz refresh rate, and 350cd/m2 of brightness. Out of the box, this model is plenty accurate since it can display 99% of the sRGB gamut with a Delta E of only .09. These numbers make it one of the best in its class, and what’s great about it is you can avail of this capability right away. Our tests reveal that the Philips 258B6QJEB is capable of 400cd/m2 instead of 350cd/m2, but we recommend using no more than 40% which will sit at around 220cd/m2. Using the included RGB color mode will lock this setting, so we recommend the 6500K Color Temperature Mode. The performance results in color accuracy will be within reach once you reduce illumination this way, but also, the contrast will improve to around 1200:1, which is more than fantastic for an IPS panel. After setting our desired presets in the feature-packed, but somewhat confusing OSD, images now have just the right amount of saturation plus deep, inky blacks and superb grayscale performance. These outputs are backed by the excellent screen uniformity which has a maximum variance of only 6.5% to the corners, and you shouldn’t expect less from a pricey product. Thanks to the Philips 258B6QJEB‘s tighter pixel pitch of .216mm, images are also cleaner and crisper, plus object edges appear razor-sharp. 1440p at 25 inches will yield 118 pixels per inch, and when compared to the 109PPI of a 27-inch 1440p model, that is a substantial difference. It does, however, come with some downsides. For one, the smaller viewing real estate may pose problems for users who struggle with finer text. You can’t always rely on Windows’ scaling since there are instances where it adds graininess instead of smoothening things out, plus some apps do not support native scaling. One thing the Philips 258B6QJEB isn’t good at is gaming since it does not have features like FreeSync or G-Sync. Even if the 60Hz refresh rate is sufficient for casual enjoyment, the screen’s 14ms response time will induce a plague of blurring and ghosting. 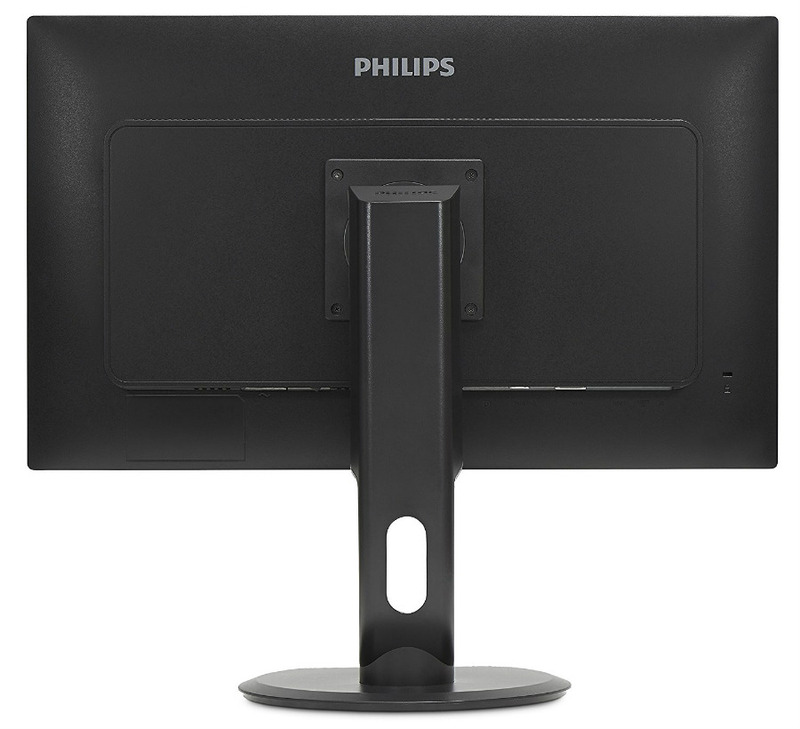 There is an included Smart Response feature which brings the number up to 5ms, but even then, the Philips 258B6QJEB isn’t one of the most responsive monitors in this category. This model has an absolute input lag of 25ms which isn’t the end of the world, but you can get something better and faster for less. Our biggest complaint about the Philips 258B6QJEB is that this model comes with a hefty price tag when compared to other compact 1440p models from other brands. At the time of review, its retail price can easily buy a 4K display or a professional/gamer-specific model which would be a better choice if you had specific uses in mind. Gaming performance is also dismal, and if you want a similar package with gamer-centric pedigree, the Dell S2417DG with G-Sync is an excellent choice.